This is the place to learn a little bit about a lot of heritage/heirloom and ethnic vegetables. I will be putting information about their growing likes and dislikes, along with information about how to use them in your kitchen. The presentation of the information is not perfect and I will be fine-tuning it, as well as adding new information, as time allows. Check this page every so often to see what might be new. Enjoy! Annual, sun, low-moderate water. Stunning bright red foliage and flowers with black seeds. Amaranth is a versatile plant, as the young greens are edible and make a colorful addition to salads, the flowers are commonly found in cut flower arrangements, and the seeds are very nutritious. This particular amaranth was used by the Hopi Natives to make a bright fushia colored dye and is still commonly used today to make red cornbread. Annual, sun, low-moderate water. Dark green leaves topped in deep gold plumes that yield edible seeds similar to quinoa. Leaves can be used much like spinach. Beautiful long lasting cut flower. Annual, sun, low-moderate water. Colored leaves of reds, oranges, and yellows. Plants are 3-4′ tall. Eat leaves in salad or harvest tiny seeds for cooking in muffins, pancakes, and cereals. It was a favorite of Thomas Jefferson. Annual, sun, low-moderate water. Also called Inca Wheat. Weeping red seed heads provide edible cereal grain. Used ceremonially by ancient peoples of South America. Documented as a 16th century heirloom. 3-4′ stalks, cut flower. Annual, sun, low-moderate water. Crimson & green foliage with bright red seed heads on 4′ stalks. Really awesome! Annual, sun, low-moderate water. Heirloom from Opopeo, Mexico. Dark green leaves and stunning bright red flowers that can easily reach 5-6′ high. Young leaves make a nice addition to salads and the seeds are also edible. Flowers make a great addition to any floral arrangement. Annual, full sun, low to moderate water. This native to Guatemala has stunning, bright orange flowers on plants up to 6 feet tall. Young leaves colored green with orange ribs are edible. Seed is light colored, edible and excellent when cooked. Plant prefers full sun and regular garden soil. Matures in 100 days. Annual, sun, low-moderate water. Also known as Red Calaloo, it will happily self seed if given the chance, making it a good low maintenance choice for a permaculture garden. Young leaves are a great spinach substitute and can be eaten raw or cooked. Beautiful flower plumes produce edible seeds much like miniature quinoa. Annual, sun to part shade, low to moderate water. This is a drought- and heat-tolerant amaranth that is grown for the young red leaves that can be cooked up like spinach (as in Vedic, African or Greek cuisine). Will add color to microgreens and mesclun mixes. Matures in 50 days. Akeros are Swedish dessert apples with red and yellow, roundish, cone shaped fruit. The flesh is crisp and juicy with a raspberry tang flavor. Excellent keeping qualities. Ripens in July or August. Baldwins have tough, smooth, bright red skin with white stars and a crisp, juicy, yellowish flesh. They originated in Massachusetts in around 1740 and good fresh or cooked, adding body, spiciness and aroma to cider in particular. Excellent keeper and a vigorous producer. Ripens in winter and hardy to Zone 4. Beautiful heirloom variety from Oxford County Maine in the 1860’s. Rare variety with deep purple fruit and good disease resistance. Bears biennially. Fruits are medium sized and they are great for storage, drying, cider, cooking, and just plain eating. Ripens in late October and November. Blue Pearmain, originally from 1700s England, are large, dark purplish red fruits with large dots and covered with dull bluish bloom. The flavor is mild, aromatic and sweet. Ripens in early October. 100 year old Heirloom from Maine. Medium sized fruit is conical with a distinct flavor. Great fresh eating variety. Ripens early fall. This heirloom originated right here in Fremont County. Once very a very popular variety for the prison’s canning industry, this apple was thought to be extinct until 1991, when three trees were identified in an old orchard. Said to have a unique texture and taste, with a bit of citrus flavor. This crabapple is a red fleshed fruit, excellent for red applesauce, jelly and coloring cider and fresh eating for those who like tart fruit. Before fruiting the plant is covered in abundant purple flowers on bronze-red foliage. Ripens in early to mid-October. Early Golds are uniform medium to large, round-conical fruits with smooth, whitish green skin. High fruit solids and high acid levels. Good eating and cooking apple, it has a high acid level. A early producer and self-pollinating. Ripens in July or August. New York heirloom dating as far back as 1845. These medium sized, bronze colored apples are best known for their cider making qualities, although they are also great for fresh eating, cooking, processing, and drying. Wonderful keepers. It needs another tree for pollination. Gravensteins are squat, irregularly shaped apples with a crisp and juicy texture and a flavor that is sweet and tart flavor. It is a terrific eating, sauce and pie apple. Ripens in late July. Honeycrisps have fruit mottled red over yellow which is juicy and crisp. Apples hold well and are hardy to zone 3. Ripen in September to late October. This apple is an heirloom from Northwestern Connecticut. It is an attractive, large, thin-skinned fruit with a greenish-yellow color striped scarlet red. The flesh varies yellow to white, is very tender, crisp, juicy, slightly sweet and mildly acidic. Similar to the Gravenstein with its varied use, it stores well and is good for apple sauce, pies, cider, or raw. Ripens in October. This Heirloom dessert apple originated in Yorkshire England around 1700. The hard, crisp flesh is very high in sugars, and makes a wonderful apple for eating, cooking, and cider. Trees are triploid and need other non-triploid trees for pollination. Not a good pollinator for other apple trees. This apple is a Vermont heirloom from 1864. It has red and yellow skin with flesh that is tinged with yellow, sometimes stained with red. The flesh is very juicy with a slightly tart flavor in the early part of the season that becomes mellower later. Tree bears at a young age. Ripens in November and December. This Californian Heirloom is unique for its inner flesh, which is a bright pink. A more tart flavored variety said to have a hint of berry flavor, this apple is good for cooking, processing, and just eating. Ripens early October. Wealthys are good for fresh eating and holds well in storage and hardy to zone 3. Ripens in fall. Wisconsin Heirloom from around 1875. Enormous apples with yellow flesh and a pale red blush can easily weigh over 1 pound. Primarily used for baking, pies, and butter, the somewhat grainy flesh works well for drying, too. Very hardy variety of apple. A cold tolerant apricot variety that is late to bloom and early to harvest. Fairly large fruit for an apricot with a slight red blush. Very sweet, rich flavor. Self fruitful. Ripens mid-June. Hargrandes are a very large apricot with light orange skin with a speckled blush. The flesh is firm, smooth, and orange, and has a good flavor suitable for fresh market or processing. Ripens in late July and is hardy and productive in Zones 5-8. Manchurians are beautiful red-blushed golden apricots the size of a golf ball or a bit smaller with sweet and juicy flesh. The tree bears fruit heavily while tolerating the heat and cold. It is self-pollinating but does better in groups. Ripens in July. 20-30′ tall hardy trees are prolific bearers of small, sweet apricots. Great for fresh eating, cooking, drying and candying. May be perennial to Zone 5, but more likely a tender perennial in colder regions. Matures approximately 100 days, so best to start from a young plant rather than sowing outside as seeds. Very tasty! Harvest large fat buds before they bloom from late summer thru autumn. Steam buds till tender, then peel, dip in olive oil or butter and eat. Matures in 100 days. Also known as Sunchokes, these artichokes accompany 6-8 feet tall plants with yellow flowers which are hardy even in severe cold. The fruit itself is large, white, and often weigh over half a pound each. They store well and can be eaten raw or cooked. Matures in 90 days. Also known as Jacob’s Cattle Beans. Said to have been given to the settlers of Main by the Passamaquoddy Indians. White & maroon mottled. They cook up more quickly than many other dried beans. Harvest approximately 98 days for dried beans. Heirloom variety that produces heavy yields of 6-8″ long pods on 16-18″ tall, bushy plants. No need for staking. Beans are stringless when eaten young and hold their flavor and texture well when frozen. Matures 50 days as a green bean. Very large dry white beans, with a maroon-black marking as the eye. These beans are gorgeous! An heirloom from Maine. Said to be high in vitamins and minerals, but most beans are good sources of nutrients. Matures in about 85-90 days. Also known as Orca Beans or Yin Yang Beans, these beauties are white and black with a pattern of the yin yang sign. They are absolutely delicious. The plants produce high yields in about 85-90 days. Originally, these beans hale from the Caribbean Islands. Maroon fading to cream beans with maroon speckles. Very tasty. Matures 99 days as a dried bean. Incredible red and white speckled heirloom bush bean. Legend has it that it was a gift from Maine’s Passamaquoddy peoples to Joseph Clark, the first white child born in Lubec, Maine. It has a full flavor and holds its shape under long cooking, possessing a rich aroma at the same time. Matures in 90 days. An heirloom originally from Tanzania, this beige speckled bean stays firm when cooked. It is a kidney type bean. Used in Africa to make a wonderful bean soup. A multipurpose bean that can be eaten green around 60 days or dry shelled around 80 days. Beans are brown on one end slowly transitioning to white at the other end, and keep their color during cooking. Very tender, early green beans. Produces heavy yields. Adaptable to climate variations and soils. Will grow in full sun or part shade. Matures approximately 50 days as a green bean. These are beautiful violet-purple beans with dark burgandy slashes. They are said to be a bean possibly grown by the Ancestral Pueblo peoples, but are definitely found being grown by white settlers in the early 1900s. When cooked they produce a dark “gravy” from the coloring and also serve as good string beans when picked young. Matures in 95 days. A white bean good for shelling or cooking as a dried bean for soups and casseroles, etc. Very meaty and nutty in flavor. Excellent yields and disease resistant. Matures to dried stage in 95 days. A native bean to southern Mexico and the Mayans, but widely grown in the southwestern arid desert regions. A tan bena with blue speckles. Very good source of protien and delicious. I have grown these dry beans since 2009 and at this point they are one of my favorites because they are just so beautiful and colorful! They come from Chile or Argentina. The skins are golden yellow with maroon markings similar to a tiger. The flavor is quite good and I cook them like pinto beans for Mexican food. They mature in about 90 days. A favorite bean at Desert Canyon Farm, these are bright red with maroon markings on them. They cook up well with a mild flavor. A New England heirloom. We like these cooked with ham or bacon and served on a bed of rice, topped with cheese and cilantro, maybe a few chopped fresh tomatoes…yummy! Matures approximately 95-100 days to dry bean stage. Early New England heirloom from the 1870’s, also known as Sulfur Beans. Larger than Navy beans and said to have a great flavor. Beans are yellow with a dark eye on them. Known to cook quickly, they are delicious for a hearty thick soup. Matures in about 105 days. This is a 1,500 year old cultivar that is attributed to the cliff dwellers living in the Southwestern US. It produces flattened green beans that may be steamed to make an awesome dish. If allowed to mature and dry, the beans that result may be soaked overnight and slow-cooked the next day to make a wonderful chili. The beans taste sweet and creamy, cook to a smooth texture and a bit more rapidly than modern dry beans, and they are less gassy. Matures in 55 days (green bean) to 90 days (dry bean). These dry beans have black and white markings similar to an appaloosa or paint horse. The beans are smaller than some, but very tasty, and we really like them for soups and stews. The plants produce high harvests in about 80-85 days. This pole bean is from the Four Corners area of the Southwestern States. Golden bean that is very tasty. Harvest when pods are dry or eat when young as a green bean. First identified in 914 in Alabama, this bean became more common in Lousiana in 1924 under the name Rueter’s Ideal Market Bean. This bean is extremely uniform in size and is grown throughout the country. Wonderful addition to a meal, no matter the preparation, steamed, roasted, fresh, or canned. Matures in 65-70 days. This heirloom pole bean is native to the Chilean Andes. Pretty maroon and pink “cranberry” type of coloring. Very easy to cook and tasty, whether fresh or dried. Dry beans may be soaked overnight and slow cooked the next day, making a creamy-textured, chestnut flavored dish. Matures in 90 days (dry bean). Cultivated by the Spanish when they settled in New Mexico, this pinkish-beige bean is early to mature, high yielding, fast-cooking, and has a high protein content. Matures in 50-55 days. Carried by the Cherokee Indians in 1838-1839, over the Trail of Tears. Attractive vining plants which bear pods that develop shades of red and violet as they dry. Good as green beans or dry beans. Not as soft as cranberry type beans, but cook well and have a robust flavor. Matures approximately 85 days as a dried bean. A Mexican heirloom. Lavender and cream colored beans have a smooth texture and almost smoky flavor. Wonderful paired with chilis in southwest cuisine. Matures in 90 days as a dried bean. Yields well. 16-20″ burgundy pods which may be cooked young for tasty green beans (color fades with cooking) or picked as a dried red bean. Very delicious and fun. Matures 85 days as a dried bean. A lilac and black-marked bean from the state of Hidalgo that has a sturdy skin making them very versatile in the culinary world. Showy pole bean variety that are yellow with a red stripe through the side. They can be used as snap, shelled, or dry beans, making them a versatile choice for the kitchen. Known for their creamy texture and that their skin dissolves while cooking. Matures in 55 days snap, 65-75 days shelling, 85-95 dry. This heirloom from Virginia, North Carolina, and Tennessee is said to have been found in a wild turkey’s craw. They are a brown bean with tan flecks and brown eye rings. Used as a snap bean or a dry bean; excellent canned or frozen. Matures approximately 80-100 days. Also known as Hidatsa Shield Bean, this Hidatsa tribe heirloom was described as being grown in Buffalo Bird Woman’s garden in 1987. Half white & half yellow colors even after cooked. High yields and a hardy delicious flavor.Matures approximately 90 days as a dried bean. These beans are huge and mottled tan and chocolate brown. The flowers are bi-colored orange and pale peach, and both flowers and beans are truly beautiful! The beans taste buttery and cook up very nicely. They were grown on Thomas Jefferson’s plantation in the 1800′s. We see both hummingbirds and sphinx moths pollinating these flowers. 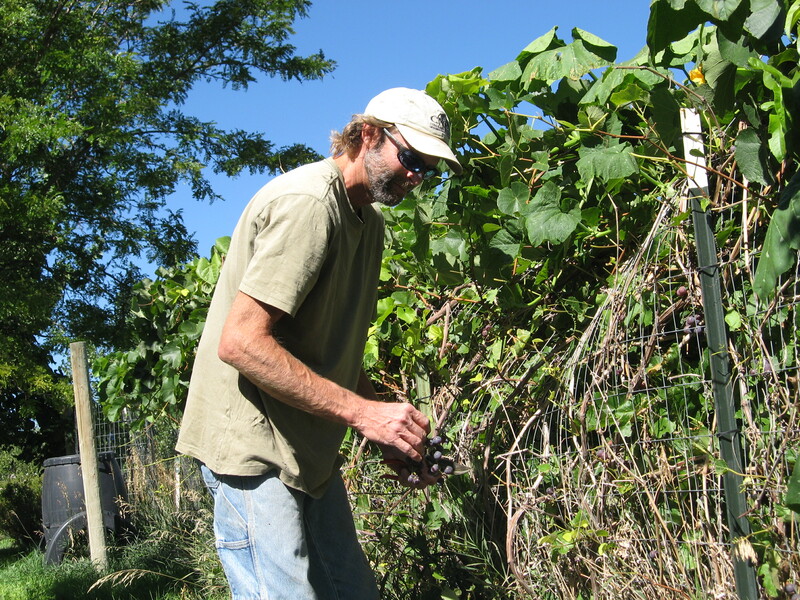 The vines are robust and need a strong fence or trellis to hold the weight of the large bean pods. Matures in approximately 70 days. A climbing ornamental plant that can vine up to 10′ with edible flowers, pods and beans. A favorite of hummingbirds. The beans are purple mottled with black, and cook up buttery and delicious. Tolerant of cooler temperatures. Matures in 80 days. Pale pink flower are some of the earliest to bloom for runner beans. Short pods yield flavorful beans that are great for freezing. Flowers attract hummingbirds and hummingbird moths. Matures in 60-65 days. Gourmet edamame soybean with exceptional sweet, nutty flavor and smooth texture. Medium to tall plants produce well and have a short harvest window. Warm days and cool nights are important for good yields. Matures in 95 days. Annual, sun-part shade, moderate water. Leaves and flowers eaten as a wild spinach vegetable – slightly spicy. Burgundy leafy tops for salads, stripped roots can be used as baby or full-sized beets. This is a wonderful heirloom and we love the tops chopped into salads or on tortilla wrap sandwiches. Apparently the roots are used to make a red food coloring, the only red food coloring allowed in Sweden, actually. Eat greens in 25-35 days, roots in 50-60 days. Wow, these beets are beautiful with bright red coloring and white rings throughout the roots. An Italian heirloom back to 1840, they are named after a fishing village near Venice, Italy. Great baked, pickled or eaten fresh. Mature in about 50 days. Tops can be eaten cooked or chopped into salads. A non-GMO sugar beet that is very very sweet, with large white roots. Matures 80 days. This well behaved, thornless, dwarf blackberry easily lends itself to container cultivation. Don’t let the size fool you, however. They still copious amounts of large, sweet berries. Self fertile. Perennial, part-full shade, moderate to high water. Native to the Rocky Mountains. Fruit is delicious raw or cooked. Fruit used to support eye health, leaves and fruit astringent. Good wildlife food plant for mountain gardeners. Small perennial shrubs produce clusters of deliciously tart red berries in June. Produces well in sun, but better in part shade. Tolerates drought, but best managed with moderate water. Good for jams, breads, pies, scones, etc. Also an excellent wildlife habitat bush for wildlife gardeners. Ripens in the fall and is hardy to zone 4, maybe zone 3.5. Perennial, sun-part shade, moderate water. Fruit delicious when fully ripe. Leaves used as a soup vegetable and to make tea. Fruits very high in vitamins and minerals. Leaves and fruit used medicinally in many ways. Seed oil used in skin preparations. Leaves yeild a yellow dye, fruits give blue to violet dye. Perennial, sun to part shade, low water. This Rocky Mountain native is well adapted for the local climate. Thorny shrubs with small, shell shaped leaves produce clusters of light pink almost clear, edible, though tasteless berries. While they are fine for human consumption, they are better fodder for birds and other wildlife. These plants do make a great, low maintenance additions to hedgerows, however. Perennial, full sun to part shade, moderate to high water. A deciduous, somewhat sprawling, multi-stemmed shrub native to Europe, southwestern Asia and northern Africa. It has dark green foliage and tiny, white, aromatic flowers. The flowers give way to clusters of glossy, black elderberry fruits that are often used in jams, jellies, pie fillings, and wine. Fruits are also attractive to birds, butterflies and other wildlife. Perennial, sun-part shade, moderate water. Deep blue berries. Flowers & berries used in cooking, for wine, and herbal medicine. Antimicrobial properties especially good for symptoms of the cold & flu season. Tender perennial, sun-part shade, moderate water. Blue-black fruit used in cooking and beverages. Also used to make a dye for fiber and baskets. Antimicrobial properties especially good for symptoms of the cold & flu season. Also known as Wolf Berry. Small, tubular, pale purple to lavender flowers and bright red berries on a vine-like, multi-stemmed, deciduous shrub. It is native to southern China. Ripe berries are edible, have a sweet licorice flavor, and are used in herbal tea and dried for herbal use. Both fresh and dried berries, and young shoots and leaves are used in oriental cooking. Outstanding Polish variety prized for its unique flavor. Easy to grow, prolific, and super sweet. Can be used for preserves, pies, over ice cream, or in fresh fruit salads. The fruits are encased in a papery husk that turns brown when the fruits ripen. Stores 3-4 weeks in the husk. Productive plants have a sprawling habit. Matures in 70 days. Sun, low water. A very tough hardy tree which is also known as Netleaf. Small berries are sweet and eaten raw or cooked. Bark is used medicinally and leaves are a dye for wool. Tree is a very good wildlife forage tree. Emperor butterfly and other caterpillars eat the leaves. Perennial, sun, low water. Small perennial tree with thorns which is very tough and drought tolerant. Spring white flowers and haws (Berries) in early fall. Leaves, flowers and haws support heart health and excellent source of vitamin C complex. Delicious for herbal honey, jams, syrup and as a stewed fruit. Bushes can reach 2-3′ in the sun, or up to 7′ in the shade, and produce many, small, blue berries very similar in taste to blueberries. Fresh leaves are used to make tinctures to help regulate diabetes. Also known as a Golden Huckleberry, this plant provides hundreds of berries are produced on its 3-4 foot tall upright branched plants. The berries are metallic purple-black, but best after the color has turned from glossy to dull. They are tasteless when plain, but fantastic when sweetened and made into pies and preserves. Good for freezing and canning as well. Matures after transplant in 75-80 days. Full sun, low to moderate water. These perennial small shrubs can sometimes establish well enough to be considered small trees. Adaptable to a large range of temperatures and soil conditions, these shrubs produce medium sized oval berries that ripen over the course of several weeks to a brown or purple-ish black color. Berries can be eaten fresh, dried, or candied, and are said to taste similar to apple. Full sun, low to moderate water. Thought to be a cross between a wild blackberry and a red raspberry, this plant bears large, deep wine-red berries on vigorous, trailing foliage. The moderately tart berries should be allowed to darken to a deep wine-red to purple color before picking to use in syrup, preserves, and desserts. The plant is high yielding, hardy, and fairly resistant to disease and frost. Ripens in July. Full sun, moderate water. Deciduous perennial trees consistently reach 40′ tall and 50′ wide. Females bear 1-2″ long, deep purple to black fruits with a rich flavor. These trees have been cultivated for food purposes for so long that no one is quite sure where they originally came from. Black Mulberries ripen later than other varieties, typically in August and September. This species of Black Mulberry grows into dwarf trees that can easily be kept small enough for container gardening with regular pruning. Trees are prone to fruiting year round if kept in a warm, bright location. Part- full shade, moderate-high water. A small native shrub with red fleshy berries. Excellent food source for wildlife, especially bees and birds. Good in hedgrows. Fruit is edible but pretty mild tasting. Our favorite raspberry, and Tammi’s favorite fruit above all others. Produces good yields from mid summer until late fall. Considered an everbearing raspberry. Hardy to zone 4. Produces large berries on first year canes each year. Does not require staking. Once fruiting begins, water every 4-5 days to have super juicy berries. Perennial, full sun, moderate water. This everbearing raspberry is one of the most popular home varieties. The medium-size, tart, juicy rose-red raspberries with small seeds are excellent for freezing, preserves, pies and fresh eating. Leaves are astringent for medicinal use of mild diarrhea, as a skin toner, skin wash for weepy rashes. It’s a good cultivar for cold climates with cool summers. Ripens in two seasons, with a light crop in June followed by a heavy crop in September. This super hardy ornamental bush sport showy white blooms in spring and yellow foliage in fall, with sweet edible berries in between in June. Can reach 10′ tall and wide. Perennial. Produces masses of small but very sweetly-flavored fruits from early summer until late autumn. Large berries spring through fall, and produces well when temperatures are very hot, over 90 degrees. Hardy to zone 4. Considered an excellent strawberry for freezing, but good for fresh eating also. Ever-bearing medium strawberries from June thru October. Hardy to Zone 4. Disease resistant. These strawberries are familiar to many folks, and they are really good producers, but I like Tristar better. Ft. Laramies are ever-bearing, but they do slow down a LOT during the extreme mid-season heat and then pick back up when temps are a bit less extremely hot. An everbearing strawberry that produces berries on unrooted runners. Makes excellent ground cover, border planting along walks or paths, or in pots. Fruit is tasty and can be ready to eat in 4 to 5 weeks after planting. Self pollinating. The Tarpan strawberry has abundant, small, deep rose flowers and bright red, small to medium-sized berries. Both the berries and the flowers are amazingly edible. Flowers add a mild, strawberry-like flavor if sprinkled on salads or when used as a garnish for drinks and desserts. Wonderful in a hanging basket, container, or in the ground. Matures in 85 days (flowers), 100-120 days (fruit). Ever-bearing medium sized strawberries from June through hard frost. Hardy to zone 4. These are my favorite variety of strawberry because they are more tolerant of extreme hot temps in mid to late summer and they never really slow down in fruiting. I also find that they continue to flower and get a small amount of fruit even during the winter under frost blanket in a cold frame, with temps to single digits. They’re awesome! Good in containers and hanging baskets also. Originally known as Wonderberry after its creation in the early 1900s, this is a bushy plant which provides loads of small, slightly sweet, dull blue-colored berries. Matures in 50-75 days. Perennial, full sun to part shade, moderate water. A dense, upright, multi-branched, deciduous shrub which typically grows to 4-8 feet tall. It is native to western and northern North America. Soft, velvety, green foliage turn attractive shades of gold and brown in fall. Fragrant white flowers which give way to edible fruits which mature in mid-summer. The soft fruit is made of two layers, and once the exterior is removed, the inner core resembles a thimble. It’s sweet taste makes jam and jelly a common use. This plant attracts birds and butterflies, as well as being a larval host for the yellow-banded sphinx moth. Fast to mature Italian heirloom that produces 3-4″ heads that continue to produce side shoots after the main shoot has been harvested, extending the harvesting season. Great for the home gardener. Matures in approximately 48-50 days. This adorable little sprouting broccoli has dark green, almost purple florets that are only about 1-2″ in diameter. Though small, the side shoots of this variety become very prolific once the center floret has been removed, and continue to produce for 3-5 weeks. Best grown in fall and winter in the milder climes, as heat can cause the florets to become bitter. Biennial, sun-part shade, moderate water. Plant in cool season. Mid summer break off top of plant stem to encourage sprouts to grow to 1″ in size along the stem and harvest in late summer to early fall. Disease resistant. Matures 120 days from transplant. We find this cabbage to be mild tasting and slow to bolt, both good attributes when you live in the high mountain desert like we do. It has beautiful green and white coloring and disease resistant, but definitely prefers the cooler parts of the growing season, so plant in very early spring and again in very late summer/early autumn. We also like this one as a container cabbage for patio gardeners. Cook in soups, Spanish rice, stir fry, or fresh chopped into salads. Matures to baby green in about 24 days and in head stage in about 50 days. Small, uniformly round 5-7″ heads of tightly packed light green leaves mature in 65 days, making this variety great for short season growers. Plants are disease resistant. Fast growing small-headed cabbage that produces tight red heads with good flavor. Compact plants can be planted as close as 8 inches apart. Stagger planting with green cabbages for an eye catching garden display! Matures in 65-70 days. Baby gourmet carrot who’s color develops quickly so you can pull these carrots early. Small core, deep orange color with 3½ inch cylindrical blunt roots. Tasty! Matures in approx. 50 days. This 19th century French heirloom produces early, uniform and round red-orange carrots which are 1-2 inches in diameter and very sweet. Popular in markets and gourmet restaurants. The plant does very well in shallow or rocky soils and in containers. Matures in 50-68 days. Vigorous plants produce dense 6-8″ heads early in the season. Good keeper in the garden for longer harvests into the summer. Delicious! Matures in 65 days. This cool season heirloom came to America in 1888. It has tight 6″ heads that provide tasty crisp eating. Holds well after harvest in the fridge crisper. Matures in about 80 days. This cauliflower has stunning, flashy purple heads. The colorful florets are attractive served raw with dip or as a cooked vegetable. Graffiti produces a true cauliflower head on large plants. Matures in 80 days. This cauliflower produces large heads that are bright purple instead of white in color! They will cook up green, which should provide great dinner table conversation. Seriously, this variety is said to be highly rich in vitamins and minerals, plus a bonus of growing insect resistant, and we’re told easier to grow than white varieties. This will be a new cauliflower for us to try in 2012, so we’ll let you know what we think once we have firsthand experience, but is sure looks like a great variety. Matures approximately 80 days or so. This cauliflower variety produces large heads which are lime green with pointed, spiraled pinnacles. Their flavor is slightly nutty, and more flavorful than white varieties. Matures in 78 days. Roots can be chopped and added to soups or in stir fry dishes. Stronger flavor than leafy or stalk celery. Matures in about 95 days. Annual, sun, moderate water. 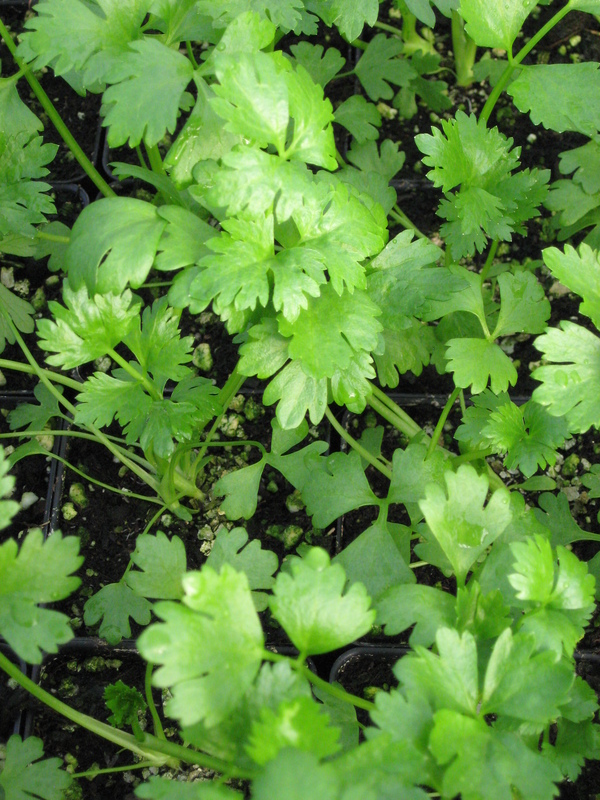 Stalks & leaves are cut and used like Parsley or Cilantro, but with awesome celery flavor. Excellent in soups and salads. This is true celery species. Excellent in soups and salads. Full sun, moderate water. Native to South America this plant makes succulent, bright-green, bushy plants up to 4 feet tall and tiny flowers which when dried, release the seeds. The black seed is made into a beverage, high in soluble fiber and oil. It was used traditionally for medicinal, and cultural purposes and continues to be used in many of the same ways today. Matures in 90 days (flowers) to 150 days (seeds). Full sun, moderate water. Chia is native to Mesoamerica and has been cultivated since 3,400 BC. Chia produces tiny flowers which when dried, release the seeds. It was used by the Aztecs and Mayans for culinary, medicinal, and cultural purposes and continues to be used in many of the same ways today. Matures in 90 days (flowers) to 150 days (seeds). Native perennial fruit shrub, sun-part shade, moderate water. Very hardy. Fruit is delicious. Bark used for cough syrup. All parts used as a dye plant. Excellent wildlife habitat and food plant. This compact cherry tree reaches only 10′ tall. Multitudes of white flowers in spring are followed by dark red cherries with large pits. Though small, this cherry can produce up to 25 pounds of fruit in a year. Cherries are great for fresh eating. Wild type Cherry tree that can reach 60′ in height. The small, sour fruits are much loved by birds, but are also great dried or made into pies. Perfect for pies and cobbler. Tart read cherries with yellow flesh. Very cold hardy tree, one of the most popular sour cherry trees in the United States and Canada. Ripens late May to mid-June. Perennial fruit tree, sun-part shade, moderate water. Fruit is eaten fresh or cooked. Leaves yield green dye, Fruit gives a gray to dark green dye. Native Perennial low shrub to 6′ tall, sun-part shade, low-moderate water. Very hardy and drought tolerant. White fragrant blooms to deep purple cherry fruits that are great for pies, jams and syrups. Excellent wildlife hedgerow plant. Annual, sun, moderate-high water. An 1890’s Connecticut heirloom. Produces narrow white corn kernels. Good for fresh eating or canning. Matures 85-90 days. Annual, sun, moderate water. Excellent for grinding to corn meal. Large ears of multi colored kernels of blue, yellow, orange, green and pink. Very ornamental as a dried corn. Matures 100 days. Early and beautiful sweet corn with old-fashioned flavor. This vigorous plant grows multi-colored 5-6 foot tall stalks with one ear per plant sitting 18″ high. All ears should be picked and eaten quickly as they lose sweetness rapidly post-harvest. Matures in 70 days. This ornamental corn from Japan was known in the 1890s as Striped-Leafed Japanese Maize. Its beautifully variegated leaves combine green, white, pink, and and yellow, while the tassels are dark purple and the kernels are burgundy. Matures in 85 days. Annual, sun, moderate-high water. A bicolor yellow and white sweet corn that ripens mid-season. Sweet and tender eating. Matures 75 days. Annual, sun, moderate water. A good cold hardy and early corn for grinding to flour. Easy to grind. Kernals are multi-colored and beautiful! Matures 90 days. An ornamental and delicious popcorn with kernels in shades of blue, pink, mahogany, white, yellow, and other hues. The ears are usually 7 inches long and slender on an 8-foot tall stalk. Not only does this traditional Native American corn make a stunning ornamental display, but the colorful kernels can also be dried and popped for a delicious snack. The height of this plant also makes it a sturdy natural trellis for climbing beans. Matures in 100 days. Extra early, open-pollinated popcorn succeeds even in cold climates. Dwarf 3′ plants produce 1-2 ears that are 3-4″ long. Makes nice petite yellow ears for table decorations or wreaths. This New Hampshire heirloom pops well and is a bit more dense than commercial popcorn. Matures in 85 days. Annual, sun, moderate water. This popping corn grows on 5-6′ tall stalks with 2-4 small ears per stalk. Ears are strawberry shaped with deep ruby red kernels. Pop for popcorn or dry and use as ornamental decorations. Very fun! Matures 100 days. Also known as a Mexican Sour Gerkin, this Small oval two-colored green striped fruits that taste like cucumber with a hint of watermelon. It is a vining plant that matures 75 days, harvesting when fruit is grape-sized. This is actually a melon, but it tastes just like a cucumber and is generally considered a cucumber. It is greenish yellow in color and grows quite long – up to 24″. Can be grown on a trellis or on the ground and has heavy yields. It is burpless. Matures in approximately 60 days. A 1924 heirloom from New York, this cucumber is great for pickling. Smooth symmetrical 6″ fruits. Said to ‘produce two or three more for every one that is cut off the vine’.Very productive! Mature in about 50 days. Burpless & thin-skinned, excellent for fresh eating. High yields. Grown in America since 1892. Originally from Japan. Excellent grown on trellis. Matures in approximately 50-60 days. An excellent standard slicing cucumber. Bears well and late into the season. This is a favorite at Desert Canyon Farm. We like to pick them young and eat them like a finger snack right in the garden while we are weeding. Matures in about 50 days. Sweet, creamy white and best harvested at 3″ long. This cucumber is our assistant grower, Lizz’s, favorite. Good yields. Matures in about 50 days. Small fruits with black spines on a compact vine. Developed in Maine, this high-yielding, early variety is good for salads and pickling. Pick continually for a good harvest all summer. Matures in approx. 48 days. A white thin-skinned cucumber, with black nubs, that is resistant to powdery mildew. Best harvested between 3-4″ long. Matures in about 50 days. Long (up to 15″) Chinese variety that must be trellised to achieve straight fruit. These early setting fruits are tolerant of hot weather, making them a great choice for greenhouse growers. Matures in approx. 61 days. An 1894 heirloom from Mechanicsville, PA. Lemon shaped with light & dark stripes. Drought tolerant, and good for slicing or pickling. Easy to digest. Matures approximately 60 days. This tropical root vegetable closely related to Taro is fairly common in Northeastern Brazil. The vegetable itself, as well as the young leaves, require careful cooking as to avoid a potentially acrid taste. Best if prepared similarly to potatoes. Not winter hardy outside, but can be grown indoors during the winter season. Requires part to full shade, moderate to high water. Matures in 6 to 9 months. Note that even after top leaves have browned and died, the vegetable might continue to grow. Heavy yielding Italian heirloom who’s spineless plants benefit from staking early in the season to help support the heavy fruits. Skin is dark purple almost black and turns glossy when ready to be harvested. Matures in about 90-100 days. Perfectly white colored and on plant which are compact in nature. Good when eaten small, fresh and in salads, these eggplants have a mild, mushroom-like flavor. Matures about 70 days. Also known as Purple Tiger Eggplant, this eggplant variety was brought to the US by Hmong students from the Southeast Asian country of Laos. A lovely little eggplant that is the size and shape of a ping-pong ball and pale lavender with deep purple stripes. A great little eggplant for using in stir-fries and Asian dishes. Matures in 90 days. Excellent & delicious, these beautiful striped purple 7″ fruits were introduced into southern France around 1850. Heavy yields. Thin skinned. Excellent in very hot climates. Matures approximately 80 days. A smaller deep purple eggplant that grows in clusters. The plants are good for container gardening. Mild flavor. Matures in about 65-70 days. A skinny Asian eggplant that is best harvested at about 6-8″ long. Plants produce high yields of fruits in shades of pink and white. Matures in about 65 days. Easy-to-grow Asian eggplants from Ping Tung, Taiwan, which are long and slender with tender magenta skin that doesn’t need to be peeled. Can yield up to 20 fruits per plant, but the plants should be staked for straight fruit. It is said to be one of the best Asian varieties. Matures in approximately 70 days. An Italian heirloom with mild tasting, round, white and mauve to violet fruits. A very popular heirloom. Wonderful prepared breaded and cooked in olive oil with garlic and parmesan. Matures in about 70 days. Annual, sun, moderate water. Wonderful for containers. Eggplant fruits are snowy white and firm and meaty. Matures 60 days. This beautiful eggplant comes from India and is pear-shaped and light green to golden yellow with lavender-purple stripes. Best to eat when about 3 inches long and wonderful in chutneys and curries. Matures from transplant in 80-90 days. Lettuce like greens in the chicory family with a slightly bitter taste that is a wonderful addition to salads or great sautéed. Great cool weather crop. Matures in approx. 45 days. Full to part sun, moderate water. This hardy shrub produces small-to-medium edible fruit that is light brown to violet and has a sweet, rich flavor. The flesh inside is the color of a strawberry. The succulent fruits can be enjoyed fresh or dried, especially in salads, oatmeal, or as an appetizer. They are high-yielding, hardy, and easy to grow. This plant is also able to be grown in a container, especially if brought inside during the colder season. It is disease, deer, and pest resistant. Ripens in late summer to early fall. Tender perennial, sun, moderate to high water. This dwarf fig variety reaches only 8-10′ tall, lending itself well to container gardening, where it can be brought inside over winter. High yeilds of dark purple figs with rich, very sweet flavor. It is possible to grow this fig outside in our local climate (zone 5) with good winter protection, although it will die back to the soil every year and not likely produce enough growth in summer to fruit before the first frost. Native to the Republic of Georgia, they are easy to peel, long cloves with beautiful purple stripes and a mild flavor. Each bulb contains 9-10 cloves and the bulbs will store for up to 6 months. Matures in 90-155 days. Hard neck garlic that has been started from cloves harvested from the garden here at the farm. These handy containers are close to harvest, all you have to do is finish them off, harvest, and cure your garlic before use. Harvest when stalks have 5 side leaves. Perennial, shade ,moderate to high water. Also known as Bear Leek and Ramsons, this plant has wide, deep green leaves and white star-shaped flowers which resonate a garlic scent. Bulbs are edible, and young leaves can be used in salads and many other meals. It attracts bees to the garden as well. 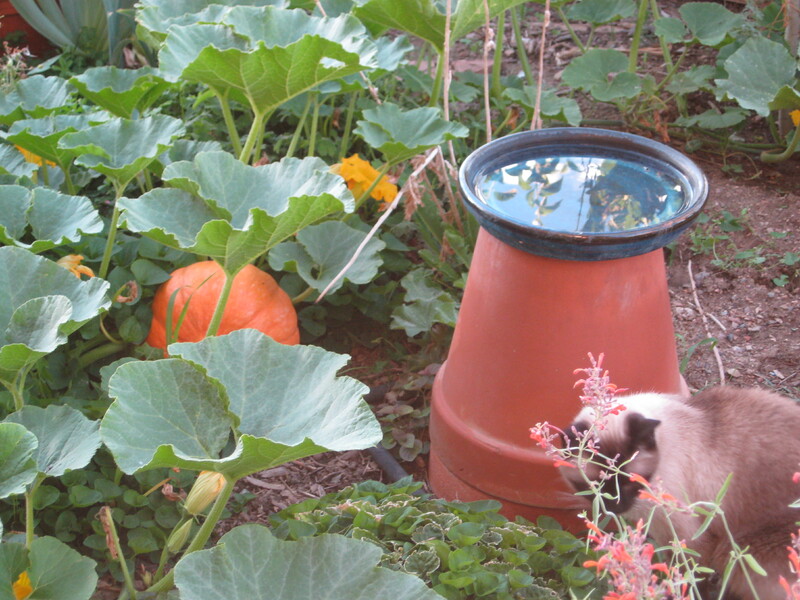 Large bottle shaped gourds that must be grown from starter plants in zone 5 or lower in order to reach mature size. Great for gourd carving and bead work. Matures approximately 125 days. These adorable little gourds look like miniature pumpkins, only 3″ across and weighing in around 3-4 ounces. Though they are called a gourd, they can be eaten just the same as acorn squash and are quite tasty. Or you can just place them around the house for long lasting holiday decorations. 100 days to maturity. Also known as Maranka or Swan gourd. Thought to be a Cherokee heirloom from the Louisiana area of the US. Traditionally used to decorate sweat lodges. It has solid green gourds have curved necks and distinctive ridges that can be 18-24 inches long with an 8 inch bowls. Best when grown on a trellis. Matures in 125 days. From the Rio Mayo region of Argentina, this yellow-flowering plant produces dozens of 2-3 inch fruits. When dried the fruits’ thin skin can be removed to reveal the “sponge” inside. A blue-black hybrid that was developed in Concord, Massachusetts and introduced into commerce in 1843. It is one of the oldest cultivated American grape varieties still commonly grown. It is considered to be a good grape for juices, jams, jellies and wine. The fruit matures earlier and is also the easiest for the home gardener to grow. Ripens in early September. Perennial vine, sun-part shade, moderate water. A red French-American hybrid wine grape that is very cold hardy and disease resistant. Yields a garnet colored dry tasting sweet or rosé wine with cherry aromas. Perennial vine, sun-part shade, moderate water. A seedless light green table grape that is juicy, keeps well and ripens early. A good choice for drying to raisins. An excellent American white variety producing generous clusters of flavorful fruit, plus they are known for their pleasant aroma. The ‘Niagara’ Grape has a very sweet taste that makes it ideal for table use, jams/jellies, juice, wines, and champagnes. Ripens in late August or early September. Full sun, moderate water. This grape produces a neutral white wine that adds body to blends, and sometimes has a floral smell depending on the year. It has excellent winter hardiness and moderate disease resistance, and is well adapted to a vertical shoot positioning system. Ripens mid-season. Perennial vine, fun-part shade, moderate water. A red hybrid wine grape that’s hardy to at least -28 degrees F and disease resistant. Heavy producer that gives a full-bodied dry red wine with fruity aromas. Peppery flavored greens are popular in Italian cuisine, and were often eaten by the ancient greeks, who used both the greens and made an oil from the seeds. Greens that add zest to salads & sandwiches with a flavor that is delicious and a bit spicy. Matures about 30 days. Purple and green foliage with mild mustard flavor. Delicious in salads or lightly cooked. A Chinese favorite green. Matures about 30-35 days. Heat and cold tolerant variety of pak choi to 12-15″ high. Broad green leaves and sturdy white stalks are great in stir fries and soups. Matures in 50 days. Mild flavored greens that are resistant to bolting in the heat. A good substitute for Napa cabbage in any recipe. Leaves and stems are great in soups sautés, or stir-fries. Matures in 45-50 days. Bunches of dark reddish green leaves with white stems. Heavy yields and slow to bolt. Heat & cold tolerant. Delicious. Matures about 45 days. Thick white stalks have dark green leaves and are entirely edible. It gives a delicate flavor, somewhere between spinach and mild cabbage, to soups, salads and stir-fry. It bolts later than any other Pac Choi. Matures in 30-60 days. Also known as spoon mustard, wu ta cai, or tasai. Dark green rosettes that can be cut above the crown and will leaf again for another harvest. Good in salads & stirfrys. Mild taste. Matures in about 20-45 days. Annual, part shade, moderate water. Excellent as a very early cold season green that tolerates frost and multiple cuttings. Succulent foliage with tiny white flowers. Very tasty. Matures 40 days. Annual, part shade, moderate water. Will tolerate hot temperatures, but prefers cool temps. An heirloom from before 1880 in the south. Serve cooked or fresh in salads. Matures 70 days. Sparkly green leaves with a pink center, this green is packed full if nutritional value and can even color lips pink! Steam it, add it to salad mixes, or use as a micro-green. Be careful though, it re-seeds easily and can become weedy. Matures in 12 (micro), 30 (baby), or 45 (full) days. A mix of all types of salad greens from arugula, kale, lettuces, tatsoi and others. Definitely for the gourmet salad person. These greens are also very tasty cooked in a stir-fry or added to soups. Smooth leaves, very slow to bolt. Quite tasty! An excellent cool season salad green. Matures about 30 days. A wonderful zippy green that lends a spicy broccoli sort of flavor to sandwiches and salads. Prefers to grow in shade and thrives during the cooler parts of the growing season. Requires moderate to heavy watering. This green is often found growing along stream banks where there is moving water, but it does not actually have it roots in the water, but rather in soil. Blooms with edible white flowers. Mature in approximately 40-50 days. May be eaten as a baby greens earlier. Just like the Peter Rabbit Salad Lettuce Box, except this is a mix of all types of salad greens from arugula, kale, lettuces, tatsoi and others. Definitely for the gourmet salad person. Matures in 21 days. Flowering Red Feather Queen Crane Kale, also known as Flowering Kale or Ornamental Cabbage, has bright magenta centers surrounded by green outer leaves. It is a novel ornamental kale that is consistent, uniform, and wonderful in autumn bouquets. Matures in 90-110 days. Flowering White King Crane Kale, also known as Flowering Kale or Ornamental Cabbage, has creamy white centers with a blush of pink surrounded by green outer leaves. It is a novel ornamental kale that is consistent, uniform, and wonderful in autumn bouquets. Matures in 90-110 days. This edible and ornamental variety of kale has densely frilled leaf edges and a purple-sage color. It is cold hardy and holds well after harvest. Matures in 55 days. Also called Lacinato or Nero di Toscana Kale. This heritage heirloom goes back to the 1700′s in Italy. Leaves look somewhat worted or bumpy. Thrives in cool to cold seasons and will survive many frosts. Delicious flavor and blue green color. Wonderful eaten raw as a baby kale, or steam and serve with tamari sauce or garlic butter. Matures 40-60 days. Beautiful bright pink and green leaves that unfortunately give this kale a reputation as being only an ornamental, when it is a delicious vegetable, too! Plants are tolerant of cold temps. Use small in salads or boiled/steamed as a cooked green. Ruffled leaves are great for making kale chips. Matures in about 55 days. An 1885 heirloom that is mild, tender and sweet. Baby leaves are great in salads, and larger leaves are delicious sautéed or made into kale chips. Beautiful blue-green ruffled foliage with purple stems. Overwinters to -10 degrees. Ruffled leaves with purple accents. Matures in about 45-55 days. Hardy perennial, part to full sun, moderate water. Purple spring shoots enlarge into rubbery leaves then massed heads of sweet-scented, ivory flowers open in June. It is a great addition to border gardens, and is ideal for cutting. Finally. the tender young leaves are a delicious culinary ingredient high in Vitamen C. Matures in 2 years. Annual, sun-shade, moderate water. This is an ornamental kale that produces flower heads that are gorgeous. Green with purple pink centers. Still edible. Tolerates frost and cold temps, but will also endure heat of the summer if planted in the shade. Dwarf curly, dark blue-green kale on a compact 2’ tall plant. Good resistance to yellowing in cold and heat. Much like the Red Russian variety, this variety has dark green leaves, but instead of a red rib, it has a white one. This variety is also sweeter then the Red Russian as well as more hardy. Matures in approx. 59 days. This shorter-vined kiwi only grows to be 12-20 feet long, but provides fragrant white flowers which fruit into small, smooth, green kiwis that tend to be even sweeter than ones bought in stores. Self-pollinating and good for shorter seasons. Should bear fruit in 2-3 years. Perennial, sun, moderate water. The name says it all. These vines can easily reach 25′, though can be grown in a container and kept pruned to a respectable 12′ long or so. This variety is not only prolific, but self fruitful. An abundance of small green, grape sized kiwis will ripen with a faint purple blush late summer and early fall. This particular kiwi is said to be hardy to as low as -18 degrees Fahrenheit. 48 days from seed. This fast growing cool season vegetable is best harvested at 2-3″. Purple skin should be peeled prior to eating. Best boiled, steamed, or eaten raw with your favorite veggie dip. Similar in taste to a turnip with none of the harsh bite and a bit of sweetness. Beautiful full-sized leeks, with medium green leaves and white shanks that can get over a foot long to the first leaf. While not hardy enough for overwintering, they will withstand medium-heavy frost (32° to 20°F) without losing their healthy appearance. Matures in 75 days. Also known as the Lyon Leek, this heirloom leek was introduced in 1834 near Edinburgh, Scotland. Large, very thick stems; tasty mild flavor. Excellent in stir-fries and soups, where they dissolve into a wonderfully tasty broth; or even sliced and breaded as a more mild version of an onion ring. Matures in 100-120 days. This lettuce possesses a rich, buttery texture which comes wrapped up in soft heads that are a creamy yellow inside. They are somewhat heat resistant, but do best in cooler regions. Matures in 65 days. This plant produces 9 inch heads of buttery and succulent leaves which are loosely packed and of medium texture. It grows great in the late spring and summer heat and is resistant to downy mildew, lettuce mosaic virus and lettuce leaf aphid. Matures in 30-40 days. Traditional butterhead lettuce with a beautiful red blush. May also be used as a leaf lettuce. Matures in approx. 49 days. Slightly savoyed green leaves laced in a deep red color. Crisp head variety. Said to have good flavor. Very heat tolerant. 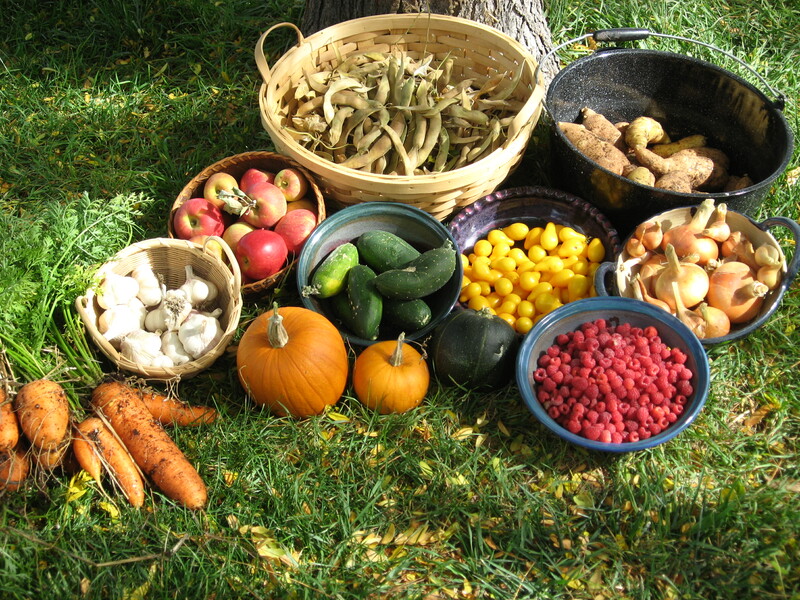 Early leaves can be used for sooner harvests. Matures in approx. 60 days. Red-tinged lettuce that can be used young as a leaf lettuce or allowed to mature for romaine heads. Can be cut above the crown and allowed to re-grow for several harvests. Most common red variety found in baby greens mixes. Matures in 28 days. This Austrian heirloom is a dark green leaved Romaine with dark red speckles and a rich buttery flavor. Matures in 55 days. Large, loose heads of lettuce with a bronze tinge and a mild flavor, that is tender. Heat tolerant variety that is slow to bolt. A family heirloom given to Seed Savers Exchange in 1977 by 90 year old Chloe Lowry, who named it after her grandfather, Civil War veteran George Admire. Matures in 60 days. The dark red-leafed lettuce is high in antioxidants and resistant to many forms of downy mildew. It definitely makes a statement in the garden with its upright, waxy, and wavy-edged leaves which can be eaten at any time of maturity. Matures in 30-58 days. Not just a little pot, but a giant patio box of mixed salad lettuces ready to cut as salad. Cut each week for many weeks of harvest. Salad would not be the same here on the farm without our peter rabbit salad mix. Tasty, fresh and fun! Matures in 28 days. An old French variety with medium-red tinted leaves and excellent taste. Tolerant to cold, but avoid hot weather as it bolts quickly. Matures in 28 days. Annual, part-full shade, moderate water. This mix of leaf lettuces is best in spring or fall before the heat of summer arrives to intensely. Disease resistant blend. Cut when tender and young…cut again in about a week and continue onward like this. Just like the name, this melon is an Amish heirloom. The fruits are delicious and sweet and very juicy. Flesh is orange. Plant produces good yields. Matures in approximately 85 days. One of the most famous French cantaloupes, this plant produces small (1-2 pound) fruits with a lovely orange flesh under a smooth gray and green striped skin. Matures in 75 – 90 days. Dwarf 3-4′ long vines typically produce 6-8 small, softball sized cantaloupes. Great for small gardens and containers. Fruits are super sweet and delicious. Smaller size makes this a quick maturing melon, perfect for short season gardeners. Harvest in approximately 65 days. A French cantaloupe named for the Carmelite monks who once tended it in France. One of the easiest to grow and most luxurious of all melons. Rich black-green skin when immature, ripening to orange mottled with green. Sweet, aromatic, orange flesh; flavor is complex and deeply satisfying. Tends to split when ripe. Very productive. Matures in 75 days. Also known as Rocky Ford Canteloupe, these small green-fleshed melons are spicy, sweet and juicy. This is an excellent producer of heavily netted fruit that weighs about 2 pounds. The fruit is somewhat oval and very resistant to rust. Matures in 92 days. An heirloom variety dating back to 1863. The fruits have a shape like a nutmeg and a slight nutmeg aroma. Considered very flavorful and sweet. Said to be reliable “year after year”. Matures approximately 80 days. Also known as the Cucamelon or Mouse Melon, this unique specialty cucumber produces 1 inch long fruits which look like miniature watermelons and taste like cucumbers with citrus and tangy overtones. Vines start growing slowly but can get up to 10′ long. Can be eaten fresh or pickled. Trellising recommended. Matures in 67 days. An unusual variety of melon with juicy, light green flesh and a sweet flavor. The exterior thin, mottled green skin turns yellow at maturity. Matures in 85 days. Annual, sun-part shade, moderate water. An Armenian melon with yellow skin with dark orange zigzag stripes. Inside is white flesh, mild and sweet. Very fragrant. Melons are about 1 lb. in size. Matures 85 days. Good for short season and high altitude gardens. Green rind and bright pink flesh. This watermelon is hard to get seed for because it is very popular. It has done very nicely for us at Desert Canyon Farm. Matures in about 70 days. An Iowa heirloom from 1950. Nearly round large watermelons with red flesh & green striped shell. Good yields. Matures approximately 80 days. Traditional, oblong, green and silver striped fruits that can reach 15-20 pounds. Flesh is red and fine-grained, with a very high sugar content. Disease resistant variety. Matures in 88 days. This heirloom, which dates back to the 1900s, has exceptionally sweet fruits. Its rind has alternating dark and light green stripes and the interior is bright red and sweet. Oblong fruit with an average fruit weight was 10 lbs and average size of 10” long. Matures in 85 days. A really fun watermelon. The rind is green with yellow spots…the leaves also have yellow spots on them. The flesh is bright yellow with white seeds and really sweet. These are large fruits up to 16 lbs., although we find they usually get about 10 lbs. for us. Does well in a dry climate with moderate watering. Matures approximately 95 days. Mid-season variety introduced in 1972. Dark green, hard rind stands up to rough handling, making this a good market variety. Fruits are medium sized and have pink flesh. Plants are disease resistant. Matures in approximately 90 days. The old icebox watermelon that’s small in size and with a very sweet flavor. An all-time favorite! Excellent for short season gardener. Matures in about 75 days. Seeds make excellent edible grain and also attract wild birds. Stalks are deep purple and seed heads are nearly black. Very ornamental! Grows 3-5’ tall. A free-stone nectarine with red skin and yellow flesh. Tree is self fruitful, and very cold tolerant, flowering later in the season than typical nectarines. Fruits are very well flavored, often said to be rich and tangy. Ripens late July. Redgolds are red skinned with juicy yellow flesh. Very productive, winter hardy and early bearing. Ripens in early August. This Israeli heirloom also known as Old-Fashioned Okra is named for the star shape seen in cross-sections of this okra. These thick pods grow on a 7 foot tall plant which has purple coloration on its leaves. Matures in 60-75 days. Extremely drought tolerant olive tree, though it still needs to be brought inside over winter. This dwarf variety conforms to container life easily with regular pruning. Fruits are edible with a rich, buttery taste and are high in oil. A flattened yellow onion with great flavor and an exceptionally strong flavor that sweetens with cooking. Great for grilling, roasting and pickling. Small bulbs won’t store for more than a few months but are so delicious that you won’t need them to. Matures in 80 days. Annual, part to full sun, low to moderate water. This plant has silver-blue foliage and flowers that are lollipop-shaped, pink with bright yellow accents and about 16 inches tall. It is wonderful in beds, border gardens, and dried in bouquets. It attracts butterflies and is quite fragrant. The No. 6 is a large onion with deep bronze-colored skin and is very high in anti-oxidants. It was developed by the CSU Experiment Station in Rocky Ford in 1936. Matures in 120 days. Annual cool season shelling pea sometimes called Green Shaft. An English heirloom that vines 2-3 feet high. Shell at 65-70 days. Part shade, moderate water. Very heavy yields. Plant these early in the spring, such as early March here in Cañon City. They can also be grown in a container with a trellis for patio gardeners. Fun to pick and eat straight away. Matures in 55-60 days. Annual dwarf shelling pea to 8″ tall. Fantastic in containers. Part shade, moderate water. An 1800’s heirloom from England. Plant early in spring-withstands frost. Shell pods at 50-55 days. A cold hardy, free stone peach which was developed in North Carolina to withstand cold temperatures. Great for Northern gardeners. Self Pollinating. Ripens in mid to late August. A variety of the Red Haven peach, Garnet Beauties have a fairly acid, but sweet flavor. Ripens in late July. A free stone peach with orange skin and a red blush. Bears heavily and is very cold tolerant. Ripens mid-season. With skin of red on creamy white, Raritan Rose peaches are a beauty. The white flesh inside is juicy, tender and sweet, great fresh or frozen. Ripens in August. Heritage fruit tree, sun-part shade, moderate water. Self fertile. Needs 800 chill hours. Very hardy. Freestone fruit with yellow flesh and nearly red skin. Excellent flavor for fresh eating or freezing, but doesn’t keep long on the counter. Harvest mid summer. This medium sized peach has skin that is dark red on yellow and flesh which is great in all ways, fresh, frozen, or canned. The tree itself also has beautiful bright pink blooms to enjoy. Ripens in late July. Popularized in David Masumoto’s book, Epitaph for a Peach, this variety has large, yellow peaches with a red blush. Flesh is yellow, firm but juicy and very sweet. Trees are very productive. Also known as the Winged Pea, this is a 1730s northwest African legume not related to either asparagus or peas. It has beautiful red flowers on low growing plants that spread along the ground. Uniquely flavored pods are best steamed whole when small and are edible still podded. Easy to grow, as it thrives in poor soil. Matures in 60-75 days. Also known as Green Shaft, this English heirloom variety has slim pointed pods are 4-5 inches long and contains 8-11 small deep green peas. Very heavy reliable production. Matures in 62-70 days. A fine quality snap pea with petite, pale green, tasty pods. Dwarf 2’ vines are early with a concentrated crop. Matures in 58 days. A sweet and flavorful snow pea said to have been brought over in the 1870s from Småland, a southern province of Sweden. They grow on a productive, vigorous climbing plant and can be harvest while still flat and creamed to make a traditional Scandinavian dish. Matures in 50-70 days. Originated in England and introduced in the United States in the mid-nineteenth century. At 8″ tall this is the best dwarf pea for container gardening. Plants are able to withstand hard frosts. Matures in 50-55 days. Known as America’s favorite pear, the Bartlett variety actually came from Europe. The tree will produce large, yellow fruit with a smooth and juicy white flesh which are wonderful fresh, canned, and in preserves. Showy white flowers also adorn the tree beforehand. Ripens in late August, early September. An African-American heirloom popular in the Philadelphia/Baltimore region. A pre-1947 variety that was used in fish and shellfish cookery. The color of the fruit range from green, orange, brown, white and red, being spicy and hot. Two feet tall plants have stunning white and green mottled leaves, which makes this variety a great addition for ornamental and edible landscaping. Matures in 80 days. Large, medium hot, stuffing heritage chili. Perfect for chili rellenos. We grow a boat-load of these and roast them to make chili relleno casserole and green chili chicos stew. I also like to roast, peel and freeze a lot of them so that we have them for winter use. Definitely a mainstay pepper for us. Matures approximately 75-80 days. Traditional, mildly hot chili from Mexico. Called Pablano when fresh and Ancho when dried. A key ingredient in mole. Excellent yields. Matures approximately 90-110 days. Adorable flattened red, gold and chocolate baby bells which grow on an upright plant up to 2 feet tall. Each plant produces a single color of pepper. Great eaten fresh, stuffed, or pickled. great for snacking or stuffing. Great in containers. Matures in 60 days (green). A Polish heirloom that is a favorite at Desert Canyon Farm. Peppers are sweet harvested green or red. Good yields. Excellent for dry climates. Matures about 90 days. 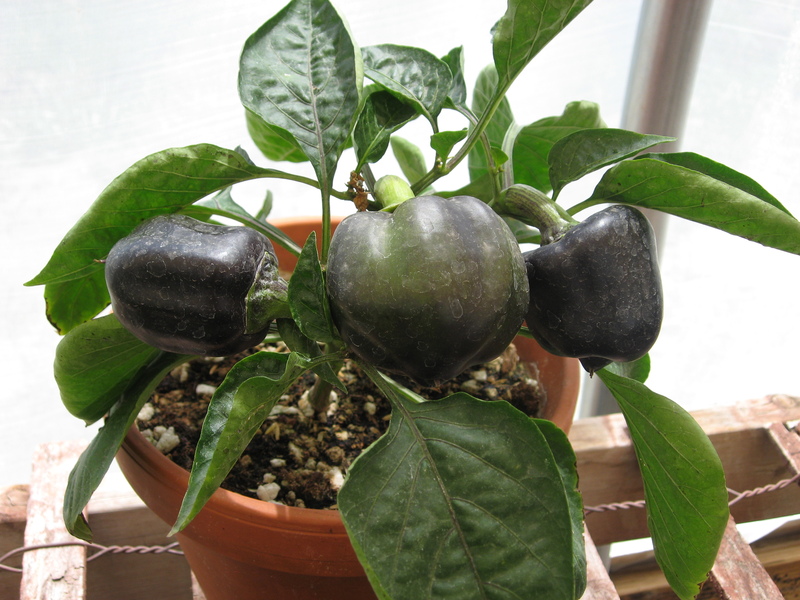 Also sometimes called Choco Bell Pepper. Rich flavor when fully ripe, with rich brown color on the outside and dark red inside. Very productive. Good for shorter growing seasons. Matures about 70-75 days. These very large bell pepper have thick walls, four lobes, and are 4-5 inches long. They are fabulous for stuffing and freezing and also have a high resistance to tobacco mosiac virus. Matures in 65-75 days. Very good for short and cool season gardens. A red bell pepper with sweet flavor. We like these for stuffing with rice, walnuts, garlic and onions. Just before serving, melt mozzarella cheese on top under the broiler just for a few moments. Matures in about 65-75 days. A really beautiful, heavy yielding pepper originally from Wisconsin. Very sweet. Matures in about 65-95 days. This large, meaty, sweet bell pepper is our absolute favorite sweet pepper at Desert Canyon Farm. Purple first then red when fully ripe, but eat them when they are purple, as they are colorful in your food and very tasty. We like this pepper so much we grow it indoors in winter as a countertop plant so that we can always have a supply on hand. Matures in about 65-75 days. Medium to large dark green pepper which mature to a yellow-orange color. These 3-4 lobed blocky fruits have fruity and sweet flavor and yield very well. Matures in 65-85 days. Sturdy bell pepper bred for short season growers. Large, uniform fruits for and heirloom variety that also have a long shelf life. Great for stuffing or eating fresh. Matures approximately 60-80 days. Often called Aji Dulce, althought there is another pepper by the same name that is quite hot. Commonly found in Cuban cooking and also used for making sofritos in Puerto Rico. Peppers can be used green or red, or any stage in between, and are sweet in flavor. Matures in 90-111 days. Small 1″ fruits point upward and grow in clusters. Green when unripe going to yellow, orange and red when fully ripe. Very Very spicy hot! Quite ornamental, edible, and very good in containers. Matures 80 days to yellow,orange, red. A beautiful “bull’s horn” type of Italian frying pepper, the Carmen pepper has a sweet taste that is good for salads and roasting and can produce in either an indoor or outdoor environment. Matures to green in 60 days and to red in 80 days. Very hot, long, skinny chilies. Preferred for ristras. An important medicinal capsicum. Matures approximately 80-90 days. A hot, hot pepper which matures early and has a glossy red coloring. Also very prolific and dependable. Matures in 45-60 days. 85 days from transplant. This sugary sweet pepper is best roasted or eaten raw. High yields of 6″ long red peppers. Considered to be the mother of most Americas peppers and native to the Sonoran desert and northern Mexico. There is even a chiltipine wilderness preserve in the Sonoran desert where they are protecting this plant from habitat destruction. Tiny round chilies which are extremely hot, but very flavorful. Good in containers. These are another favorite for us, and I keep a plant growing in a pot year round. If protected from freezing temperatures, these peppers are definitely perennial and I’ve had plants live for many years. Matures about 80 + days. Can be perennial in warmer climates. This 300 year old heirloom chile pepper is native to northern New Mexico at 5,900 feet elevation. It is mild tasting with chocolate notes, bright red, and 3-5 inches long. It makes a great sauce or powder! Matures in 75 days. Red Italian heirloom sweet pepper with 6-8 inch fruits. Great specialty pepper for roasting, grilling, stuffing, frying, saucing, and fresh eating. Edible when green, but flavors really develops when it turns red. Very prolific producer. Matures in 85 days. Miniature 1″ blue-black conical fruit are beautifully ornamental on a bushy canopy of dark purple leaves. Dwarf plants are slightly rounded in shape and very compact. Very spicy fruits with good eating qualities for heat-lovers! Matures in 80 days. One of the hottest chilies. Shaped a little like a miniature bell pepper, but definitely not a sweet pepper! Originally from the Caribbean islands. Produces high yields. Matures approximately 75-100 days. This red habanero is lantern shaped and longer (3-4 inches) and more slender then a typical habanero. Also matures early and is a good producer. Matures in 70-90 days. A 1935 heirloom from New York. An early and heavy producer of large and long 6″ fruits. Quite hot. Matures in about 65-75 days. Also called Round of Hungary. Very sweet, delicious, flattish pepper that is great for stuffing or salads. Specialty Pimento Cheese type pepper. I really like this pepper because it has a fun shape and is delicious. The plants produce a lot! I find it to be a great container pepper too. Matures about 60-75 days. An old variety that produces well even in cooler climates. A pale yellow going to red 5-6″ long pepper that is super hot! Good roasted or fried. Can also be pickled. Matures in approximately 55 days yellow and 85 days red. Excellent medium sized bell peppers that are a rainbow of colors from purple to red and everything in between. Very fun and tasty. Matures 65 days to purple/yellow, 85 days to red/orange. This long chile pepper collected in 1988 from the Isleta Pueblo of New Mexico is great for drying, stuffing, and roasting. It has flavor that is sweet and fruity when red and reaches a heat of mild-medium to medium. Matures in 75-80 days. High quality frying pepper which is similar to Jimmy Nardellos. Five to six inches long by two inches wide, with a thick wall start green and turn red quickly. Very sweet when red and terrific fresh eating as well. Matures in 58 days. A medium hot and early to mature old fashioned pepper, with good old-fashioned hot taste. Matures approximately 60-80 days. An heirloom brought from Italy in 1887 by Jimmy Nardello’s mother. Very sweet and a heavy producer. One of the best fry peppers we know of! Matures approximately 70-80 days. Excellent producing red bell pepper which is disease-resistant. Matures in 60 days. Excellent 1′ tall plant for container gardens or hedge. Very pretty, edible, but very hot small chilies. Peppers go from green to orange/yellow, on to purple and then to red. Matures in about 65-90 days. Very hot and ornamental edible peppers that go from green to orange. Great in containers because they are so beautiful, but use care to keep the containers from being used as table centerpieces in households that have small children, as these peppers burn the tongue! Matures in about 80-90 days. These peppers are best eaten around 60 days when they are 1.5-2″ long. At this stage, about 1 in 10 peppers are mild and sweet, great roasted with a little oil and sea salt. Any longer and all peppers become extremely hot! Native to Spain. These 2-3 inch long wrinkly peppers are best harvested immature and pickled, as they do not have a distinct flavor otherwise. They also do not have any heat, so are great for anyone to eat! Matures in 60-80 days. A pequin-type of chili that is hot and beautiful. Plant is compact and excellent for container growing. Fruit turns yellow, orange, and then red. These peppers are sometimes referred to as rainbow chilies. In cooler weather, purple streaking occurs. Used in ethnic cooking. Can be a perennial in warm climates. Matures approximately 50-75 days. Purple foliage and flowers, while fruits go from purple to red…stunning and edible, although very hot. Great in containers or for border plantings. Matures in about 80-85 days. Also known as the Mosco Pepper, this is the best kept secret in the Southwest. The Pueblo Chilé is a Mirasol variety that was bred in Pueblo County, Colorado. It has broad shoulders and thick meat, is 5-6 inches long, and is hot, but not over the top. Green, turning to red at maturity. Outstanding roasting chilé. Matures in 75 days. Super hot and spicy, but fully edible. Excellent for garden borders and container growing. Wonderful for making mini-ristras. Can also be substituted in Thai recipes really well. Matures approximately 50-70 days. A delicious, heavy yielding heirloom pepper. Good in salads & sandwiches or fried with potatoes, garlic and onions. I think this pepper is a very pretty and sweet little thing. Matures in about 60-80 days. Wicked hot 2″ peppers that point straight up on the plants. They say the more upward the pepper points as it is growing the hotter it will be, well, these point straight to the heavens, my friends. A Mississippi heirloom from at least 100 years ago that was traditionally used to make rooster spur sausage. A wonderful pepper in containers for patio gardeners. Matures about 105 days or so. This Albuquerque region chile is smooth-skinned and fleshy making it good for rellenos, sauces, and stews. It has a sweet and fruity flavor when red and has a heat of medium to hot. Matures in 75-80 days. Medium to hot Anaheim type pepper grown by the San Felipe Pueblo farmers in New Mexico at 5,200 ft. in elevation. These peppers are wonderful for stuffing, roasting, and making rellanos. Matures 70-80 days. Introduced in 1965, and sometimes called Caribe pepper, this yellow going to red 2-4″ pepper is great for pickling, salsas and canning. It’s hot! Matures approximately 70-85 days. Peppers are mild to medium hot and 4-5″ long. Originally from Santo Domingo Pueblo in northern New Mexico. Matures in about 75-80 days. Large, high yielding Serrano-type chile. A favorite for salsas & sauces. Medium hot. Matures approximately 60-75 days. Ohio heirloom. We love this pepper! A round cheese shaped pepper that is tasty, juicy with thick skin. Great for canning and holds well fresh in the refrigerator. Matures in about 70-80 days. This Italian type roasting pepper reaches about 2″ wide and 4-6″ long around 80 days. The thick flesh is best as the name suggests, roasted, though they are very good eaten raw as well. Prolific plants with high yields. Superb flavor. A very hot Louisiana heirloom pepper from 1848 and used in tabasco sauce. Matures in approximately 70-85 days. Carrot-shaped pepper with intense flavor that has a hot bite to it. Good in salads & salsas. When mature, peppers are a beautiful sunrise orange color. Medium sized plants require no staking and yield heavily, even in containers. Matures in about 65-85 days. Mounded 8 inch tall plants are covered with hot ½” tabasco-type fruits ripening from green to a rich deep red. This is a wonderful producer, an average of 200 fruits per plant, which is great for container gardening. Matures in 85 days. Italian heirloom that’s great for fresh eating, canning and in sauces. Very sweet flavor with great yields of 4-5″ long by 1-1/2″ wide peppers with firm, crunchy flesh. Matures in about 80 days. Coming from Chihuahua, Mexico this rich brownish-red chile has a medium heat that can vary a bit. Matures in 75-80 days. A heritage pepper to Albuquerque, New Mexico. Medium hot 2-4″ yellow peppers that go orange to red upon full ripening. Good in pickling and canning. Grown by the late Erris Wenk, a truck farmer from Albuquerque’s South Valley. Matures approximately 70 days. This bright yellow pepper grows on an upright plant, has thick walls, a nice tart flavor and a nice crisp crunch. Matures in 60 days (green). One of the older heirloom varieties available. White flowers give way to loads of oval, dark blue plums with yellow flesh. Great for canning, wine, or just eating off the tree. Trees can reach up to 20′ tall. Self fruitful, though may produce more prolifically with a pollinator tree. A very hardy fruit tree for colder climates. Blooms late spring. Prefers full sun. Self fruitful. This is a heritage fruit tree from Europe. Produces large fruit with purple skins and yellowish flesh that turns red when cooked. Very sweet and good eaten fresh, dried into prunes or canned. Harvest in August to September. Produces a large, heart-shaped, deep red fruit with a sweet blood-red flesh. Excellent for fresh eating or canning. Vigorous, hardy, and partially self-fruitful, with great yields. Ripens in August. Stanleys are medium to large, oval, and dark blue plums with a sweet, rich flavor to their yellowish-green flesh. Excellent eating in anyway, and flesh will turn purplish-red when canned. Ripens in late summer. Also called American plum, this produces fruit which are sweet with a pink to red skin, about 1 inch in diameter. The tree itself is small, fast-growing, short-lived, and colony-forming. Abundant tiny white flowers open before the leaves emerge in spring. Ripens in late summer. Also called Rouge Vif d’Etampes and is considered a squash by some, pumpkin by others. A French heirloom since 1883. Bright orange and good for soup on cold days. A really lovely creature! It is delicious eating and I especially like it prepared as pumpkin ginger soup or as pumpkin custard (although I tend to refer to it as a squash, the terms are one and the same regarding this plant). It does very nicely in our Colorado gardens, producing 12-15″ diameter squash that are shaped just like Cinderella’s pumpkin coach in the fairy tale. They are bright reddish-orange in color and absolutely stunning. Matures approximately 115 days. Beautiful orange and green striped pumpkin from Japan which has hulless seeds that are great for a yummy and highly nutritious snack. The fruits are usually 5-8 pounds and a semi-bushy plant will yield 2-3 fruits. Also very adaptable and will yield well even in poor conditions. Matures in 100 days. A southern France heirloom, very decorative and moderately sweet in flavor. A mainstay in French farmers markets. Matures late and has long storage. A wonderful pumpkin! Matures approximately 110-115 days. This classic, small, sugar pie pumpkin is just right for holiday baking. Each pumpkin averages two pumpkin pies by my experience or one large pumpkin custard, which is my favorite way to eat pumpkin actually. Matures in about 100 days. Excellent sweet flavor and smooth texture for a pie pumpkin. Small variety, fruit only reaches about 6-8 pounds. Good keepers. Matures in about 100 days. A beautiful, snow white, medium sized pumpkin with orange flesh. Good for pies. Matures in about 110 days. The Blanca variety of quinoa has been developed in Colorado’s San Luis Valley. Blanca has great flavor, large seeds, and ability to thrive in the conditions of the high desert. Mostly white and some black seeds. Quinoa is protein-packed, drought tolerant, and highly adaptable to a wide variety of climates and elevations. Matures in 95 days. This is a beautiful variety from southern Chile that will grow very well here in the U.S. It is a highly productive grain quinoa that can double as an ornamental plant in the flower garden. Pretty pink foliage and stems are topped with creamy white seed heads. Matures in 100 days. Radicchio is an Italian salad green with a slightly bitter flavor and nutlike texture. Leonardo produces uniform, dense, 4-5 inch red heads whose flavor and color matures in cooler fall temperatures. Matures in 65 days. Palla Rossa is a variable strain of a Chioggia-type radicchio with dense round heads which grow to 3-4”. Works well for leaf cuttings all season and best for fall harvest of heads when color and flavor is best. Matures in 90 days. Popular pure white Japanese radish that can grow very large (2-6 lbs) while remaining crisp and tender. Excellent for pickling, fermenting or storage. Matures in 50 days. Annual, sun-part shade, moderate water, cool season veggie. Chinese radish with pink crispy flesh and white skin with green shoulders. Delicious pickled, in salads or cooked in stirfry. Matures 60 days. Perennial, sun to part shade, low to moderate water. Traditional variety of Rhubarb. High yields, great for market gardeners as well as home gardeners. Perfect for making delicious deserts like pies, cobblers, etc. Only the stalks are edible. Do not eat leaves, seeds or flowers. Perennial, sun to part shade, moderate water. One of the greenest and sweetest Rhubarb varieties. High yields, great for market gardeners as well as home gardeners. Perfect for making delicious deserts like pies, cobblers, etc. Only the stalks are edible. Do not eat leaves, seeds or flowers. Annual, sun, moderate water. This native to India is a multistemmed upright plant bears oil-rich seeds. Seeds are jet-black and have a sweet taste as opposed to tan types, which can be quite bitter. The seeds are highly nutritious, and may be eaten raw (dried) or toasted. Typically made into tahini. Copper skinned bulbs with white flesh an lilac colored rings. Savory and bold flavor that does well sautéed, in dressings, or with meat dishes, though they are wonderful in any dish. Easy to peel variety. Matures in 110 days. A mix of heirloom varieties of sorghum with the result of different colored seed heads. Used in broom making, floral arrangements and as wild bird feed. Matures approximately 95 days. Heirloom sorghum from northern Alabama circa the 1920s. The plants grow up to 10 feet tall on juicy, sweet stalks from which cane syrup can be made. The grain seeds on top are large, plump, and starchy which makes for great pancake flour. Matures in 100-120 days for grain, earlier for syrup. Large, 8-12′ plants produce many attractive, shiny, black seeds. Birds love them! Seed stalks were historically used for making brooms, hence the name. Today, the tops are often found in floral arrangements. Matures approximately 85-100 days. Heirloom variety since 1925. Good yields of curled, green leaves which can withstand heat. This spinach can be planted in fall for an early spring crop as well, due to a good bolt resistance. Matures in approx. 39 days. Large, smooth, slightly savoyed leaves. Disease resistant and slow to bolt. Matures in 30 days. One of the oldest types of cultivated squash. Excellent producer of large, light orange, ribbed fruits with a flattened pumpkin shape (like a wheel of cheese) and sweet, bright orange flesh. The flesh has a non-stringy texture and can be eaten both when small and immature as summer squash, and when mature as winter squash. Matures in both fall and early winter. Cushaw-type squash, without a large neck, originally from Chimayo, New Mexico. Vines produce green and white striped winter squash that turns orange when mature. A winter squash, but great as a summer squash, and has loads of edible flowers and seeds. Matures both early in fall and later in winter. Dating back to the 1920′s, this is your traditional dark green zucchini. We like to eat them when they are small and tender, about 6-8″ long. They also freeze well and we dehydrate many for easy storage until they go into winter soups and stews. Matures about 50 days. A Italian heirloom summer squash with a unique, slightly nutty flavor and exceptional texture. The fruit is covered with a tender, gray-green skin and prominent ribbing that give this variety a distinctive appearance. Great picked at 6″ or smaller and fried whole with the flower still attached. Matures in 54 days. Striped orange & green, oblong winter or summer squash, and 6-9″ long. When young, eat as a summer squash, and at full maturity it is good as a winter squash. Very tender and sweet. Only winter squash that can be eaten with the flesh on. Tasty! Matures approximately 100 days. A vigorous variety of straight, smooth, lightly mottled, dark green fruits with a greenish-white and firm flesh. Matures in 50 days. The best zucchini we’ve ever grown. Round fruits best eaten small, but still tasty even when picked large. Produces very well. We love this squash! Matures in about 45 days. A non-GMO zucchini developed in Vermont, this plant produces an extra long and slender fruit that is such a dark green, it almost looks black. The plants are also sturdy, resistant to disease and have high yields. Matures in 55 days. Bush type summer squash variety with small, white-ish, flat squash with scalloped edges. Best eaten young, when 4-6″ in diameter. Wonderful for frying or baking. Matures in 55 days. Interesting heirloom French variety. Round zucchinis with crisp, green flesh. Compact, bushy plants produce many small fruits with great flavor. Can be used fresh, cooked or frozen. Matures in 50 days. Our Grandmommy’s all-time favorite summer squash and we love them too!! Small, scalloped, and tender, these delicious little squashes look like small flowers in shape on the vine. The vines are bushy and do not ramble around, making them perfect for gardeners with small spaces. They are also very good as a container squash. Matures approximately 50-65 days and produces heavily throughout the summer months. High yields of delicate delicious squash. We eat this squash in everything throughout the summer and we never get tired of it. Male flowers are also edible and wonderful. Chris’s favorite squash. Matures in about 50 days. Small, round, flat squash that is sweet and tasty. A farmer’s market favorite and Tammi’s too. I love this squash and always plant at least two plants so that I get plenty for winter storage. An excellent winter keeper. Matures approximately 95 days. Dark green, 3-5 lb fruits with golden orange, stringless flesh and sweet, rich flavor. This is a prolific squash growing 10-12 fruits on an often 15 foot long vine. A long-time New England favorite! Matures in 95 days. Compact vines yield several fruits which are 10-12″ long. This variety is ideal for short seasons. Matures in 80 days. A Pennsylvanian 1890 heirloom with smaller more oval acorn shaped fruits. Eat fresh around 50 days or let mature to 85 days for winter baking squash. A rare old variety. Matures approximately 50-85 days. Also called Rouge Vif d’Etampes pumpkins. A French heirloom since 1883. Bright red, orange and very good eating. Matures about 110 days. See also under Cinderella Pumpkins listing. A big east coast heirloom squash that our customers say is the best eating ever! Pale orange shell with bright orange flesh. Reliable producer that stores well. Called a pumpkin by some. Matures in approximately 85 days. Also called a Neck Pumpkin. Amish Heirloom baking winter squash for pies, soups, etc. that can reach 20 pounds in size! Very delicious and sweet, and holds well in storage. Matures approximately 100-110 days. These have produced very well for me and they are quite delicious. Tear-drop in shape and smallish, around 5 lbs. each, they are bright reddish orange in color. Tolerant of dry hot weather. Matures in about 90-100 days. Quite a popular winter squash and an old-fashioned favorite. Medium sized and oval in shape, with yellowish skin. The flesh is delicious, but somewhat stringy in texture, hence the name spaghetti. Very good yields. Matures approximately 85 days. Another Desert Canyon Farm favorite, this small acorn shaped with creamy skin of green stripes, has great flavor and decent yields. One squash is perfect for 1-2 people’s dinner! Matures in about 100 days. Heirloom acorn squash with delicious meat and produces heavily. Just the right size for two people’s meal. Squash is a buff color on the outside. Keeps well into the cold months of the year. Matures in about 85-90 days. A very old French squash that dates back before 1820. Some people consider this a gourd, primarily because of its extravagant coloring and shape (which resembles a turban – hence the name), but since it has very tasty flesh we do not feel it should be referred to as a gourd. It is striped orange, green and cream colors and very fun and very beautiful. The fruits are large and hold well into winter. Matures about 95 days. Originally called Rainbow Swiss Chard, but has been re-selected in Australia for better color variety. Very fun and multi-colored. Excellent for short season gardeners and as a cool season veggie. Matures in about 50 days. The stalks of this Swiss chard are bright orange, and entirely so. Very cool! Otherwise, it is the same as Five Color Silverbeet Swiss Chard. Use raw in salads, cook into soups, add to stir fry. Matures in about 50 days. Heirloom smaller fruited tomatillo with a sharp and very sweet flavor. Good for grilling. Note that you must grow 2 plants near to one another of tomatillos in order to have a harvest. Matures in about 80-90 days. These perfect and intensely purple fruits with green husks are well loved at Desert Canyon Farm. Stores well. Makes great salsa. Note that you must grow 2 plants near to one another of tomatillos in order to have a harvest. Matures in about 70-90 days. Earlier to mature than other varieties, with large green fruits. Great for salsa and green enchilada sauce. Note that you must grow 2 plants near to one another of tomatillos in order to have a harvest. Matures in about 80-90 days. An Amish Heirloom developed near Lancaster, Pennsylvania and commercialized by Tom Hauch of Wisconsin. Teardrop shaped fruits reach 8-12 ounces in size and are wonderful for sauces or slicing. Matures in about 80 days. An heirloom to the southern part of the United States since before 1900. Produces medium sized fruits, pinkish red in color and very tasty. Tolerant of extreme heat and dry conditions. Matures approximately 85-90 days. Loads of small pear-shaped yellow tomatoes on large, bushy plants known to produce even in cooler climates. The zesty fruits are wonderful in salads or for the pick-and-eat straight from the vine approach. Matures in about 70 days. Prolific yields of smallish, 1-1.5″ in diameter purple-red tomatoes. Great flavor and a wonderful tomato to just halve and dry. Also great for salads and salsas. Matures approximately 75 days. A Russian heirloom that is described as the ugliest tomato with the very best taste! Fruits are somewhat flattish and large, with a delicious taste. Good for fresh eating and for canning. Matures in about 75 days. Flattish large red tomatoes with greenish black shoulders that gets darker with intense sun and heat. Really excellent flavor, but quite strange to look at. Matures approximately 75 days. A very popular heirloom. Also known as the Ananas Noire, this tomato’s skin has shades of green, purple, orange, and yellow while its bright green flesh has bursts of red streaks. The flavor starts out sweet and ends with some tang. Matures in 85 days. This Russian heirloom bears 2 inch oval tomatoes on very productive and compact vines. The fruits are red with dark green streaks on shoulders. Sweet and meaty, these tomatoes are very versatile. Good for sauces, salads, canning and drying. Matures in 65 days. Plants produce early, heavy yields of chocolatety brown, 5 ounce tomatoes. This Siberian heirloom tomato is described as having a rich nutty flavor. Very unusual! Matures in about 75-80 days. Heirloom which name is debatable, with some sources saying it was named after the Grand Ol’ Opry singer and other stating it was discovered during the Great Depression. Medium to large size tomatoes. Yields are heavy and produces through a long season. Matures in 80 days. A 1902 heirloom with large fruits with pale pink skin and potato leaf foliage. A great hamburger slicing tomato. Matures in about 75-80 days. This is considered to be the original Brandywine red tomato variety and it has normal regular tomato leaf foliage (not potato leaf style). A large fruit and very big tall vines. Seeds originated in Ohio around 1889. We find all the Brandywine varieties to do very well for us in southern Colorado. Matures approximately 90 days. Yellow-colored version of the Brandywine red/pink tomato. This variety has potato leaf foliage. Matures in about 75-80 days. Large uniform slicing tomato from Rocky Ford, Colorado. This tomato has excellent flavor and the ability to set fruit in hot weather. Matures in 75 days. Unusual purple-rose colored, medium sized tomato. Deliciously sweet, very reliable and good yields. Matures approximately 70-75 days. Yellow large tomatoes with orange and red stripes. Sweet and juicy slicing tomato. Matures in 85 days. Italian heirloom with delicious large pillowed fruits. Performs well in hot weather and produces well even after weather begins to cool. Matures in 78 days. Very large slicing heirloom tomato that can reach 2 pounds and that is wilt resistant. Said to be the variety that all red beefsteak tomatoes originate from. Old fashioned tomato taste. Good yields. Matures in 85 days. From Czechoslovakia, it is a stocky, heavy yielding plant. Medium sized, good tasting, and good for container growing. Matures in about 70 days. Heavy producing plum tomato, that is good for short seasons. Medium sized and perfect for canning or in salads and salsas. Matures approximately 70-75 days. A Colorado heirloom variety that was given to us from Perennial Favorites in Rye, Colorado. They obtained seed from a friend who’s grandfather had grown this variety in his garden. Delicious, large, red, meaty beefsteak tomatoes with a lot of meat and little space for seeds. Maturity date unknown, but thought to be early. A Colorado heirloom variety that was given to us from Perennial Favorites in Rye, Colorado. They obtained seed from a friend who’s grandfather had grown this variety in his garden. Prolific plants with excellent tasting fruit. Fruits are small, yellow pear shaped tomatoes. Maturity date unknown, but thought to be early. Ornamental foliage with large, matte red and slightly orange, fruits and peach fuzz-like skins. Rich flavor improves with age. Can keep up to four months. Indeterminate. Matures in 75 days. A large, beefsteak-type tomato that is early to mature. I am usually harvesting these very large tomatoes already by late July! Pinkish red in color. Delicious! Our most favorite large tomato. Matures in about 70-75 days. Heirloom with very large pinkish red fruits that are meaty with few seeds. Decent yields and excellent flavor. Matures in 80 days. Very large meaty tomatoes that are very pale yellow in color. Mild flavor with no acid and early to produce. Matures in about 80 days. Fun, striped light and dark green with green flesh. Great in salads, has a zingy flavor. Great for those who want fried green tomatoes without having to sacrifice an unripe tomato of another variety. Matures in about 70 days. Very large slicing tomatoes which are yellowish in color with red flecks of color. Heavy producer. This is quite a fun tomato! Matures in about 85 days. Heart shaped and meaty heirloom originated in 1901 about 20 miles from Budapest. Good producer. Good for canning or eating fresh. Matures in about 70 days. Large deep purple-black skinned tomato. Mild flavor, juicy. High in antioxidants. Matures in 70 days. Indigo Cherry Drops have striking, dark-blue and red coloration, and red flesh. It is high yielding in large clusters of cherry sized fruits with a wonderful flavor. Matures in 71 days. Very large fruits with wonderful flavor. As the name says, this one is from Italy originally. Good for slicing or canning. Heavy producer. Matures in about 70 days. Long slender, but larger than average fruits for a paste tomato. Firm flesh and few seeds. Great for sauces, soups, and drying. Matures in 73 days. French heirloom with medium sized apricot shaped tomatoes that is perfect for drying. Excellent yields in clusters, with a bitey flavor that is quite delicious. Matures in 75 days. Small bushy plants that thrive in cool climates and short seasons. Good producer of medium-large, 6 ounce, round, red fruits. Matures in 60 days. An Italian heirloom paste tomato…very meaty. Heavy yields & produces reliably. Great for sauces, salsas, etc. Foliage is very puckered looking. Matures approximately 75 days. Very small, red cherry tomatoes that are good alone or in salads, and as a garnish. Watch out…this plant gets gigantic and is absolutely loaded with tiny tomatoes. Its wild just as its name would suggest! Matures approximately 60 days. Small red cherry tomatoes similar to Matt’s Wild Cherry. Introduced by Barney Laman who received the seeds from his brother, claiming the tomatoes grew wild along the road sides in Mexico. Very abundant producer starting early and continuing until frost. Very, very tasty! Kids love these! Matures in about 60 days. Yields medium sized tomatoes with meaty flesh and a sweet flavor. This variety is wonderful for slicing and eating fresh, and keeps well too! Matures in about 85 days. Heirloom with large meaty fruits with few seeds. Great slicer. Gets it’s name from legend that “Radiator Charlie” was able to pay off his farm in 1930s Kentucky from such a large tomato crop of this variety. Matures in about 85 days. A Russian heirloom that has good quality for fresh eating. Cold tolerant and quick to set good yields, making this a wonderful tomato for the short season gardener. Matures in about 60 days. Medium to large, globe-shaped, bright red fruits which are rather soft but meaty with excellent flavor. Plenty of old-fashioned tomato flavor. Matures in 78 days. Medium sized truly orange fruits with delicious flavor. These were the best, earliest to mature, and last to freeze tomatoes on our farm. We love them. Matures in about 50-60 days. Medium sized on compact plant that are cold tolerant and have heavy yields. Also good at high elevations and in containers. Matures approximately 60 days. Very heavy producer of red cherry tomatoes, similar to the variety Sweet 100’s . Excellent flavor. Crack resistant. Matures in 75 days. Large slicing tomatoes (1/2-1 lb in size) with very sweet flavor. This heirloom has dark pink skin with green stripes and pink flesh with yellow splashes. Matures in 65-70 days. Medium sized tomatoes with deep red flesh, dark pink skin with green stripes…stunning! Very sweet and juicy and heavy producer. Delicious served with basil and mozzarella! Matures in 75 days. An heirloom from Moscow, Russia. Bright yellow, 3″ long, lemon shaped and sweet. Good yields and good in shorter growing climates. We grow a lot of these because they do so well for us on the farm. Matures in about 70 days. Pick and eat these pear-shaped tomatoes straight from the vine or use in salads. Huge yields! Often we have so many that Tammi slices them in half and dehydrates them with garlic seasoning, then in winter they get used up making pizza. Matures 70 days. These have become one of our most favorite tomatoes, because they lend themselves to indoor and outdoor growing, in containers or not. These tomatoes are self-pollinating and prefer bright, but indirect light, making them great for year-round growing…they stay outdoors during the warm months and then we transport them indoors for the colder months. They get about 15 inches tall and as long as you fertilize them once a month with organic fertilizer, they will produce large sized cherry tomatoes non-stop!! Try them…you’ll like them. Matures in 55 days. A wonderfully pillowed tomato of medium size, this Italian heirloom is excellent for making sauces and canning. It is beautiful sliced for tomato cucumber salad too. Matures in about 85 days or so. Long, blocky fruits with a small seed cavity which can easily be scooped out. This means much less boiling to get a good paste. The shape is also good for canning, and excellent for drying. Matures in 80 days. A really good and early, cold tolerant, short season, dwarf tomato. One of our most popular tomatoes, especially for mountain gardeners or gardeners growing in small spaces. Good flavor too. Matures approximately 55-60 days. Carrot-like, silvery gray foliage that is truly stunning. Perfect for containers. Compact plants with flattish, round, 3″ tomatoes. Good for short season. Matures in about 55 days. Also called the Schimmeig Stoo tomato. It is pillowed like a bell pepper and the color is red with orange stripes through it. The fruits are decently sized and hold nicely once they are harvested. We get very good yields from this tomato, even in years when the weather is extra hot and dry. Matures approx. 80 days. A Czechoslovakian heirloom that is good in short seasons and cooler temperature. Everyone likes this variety because of its heavy yields of 2 1/2″ fruits growing in clusters. Matures approximately 55-60 days. Wonderful, sweet, bright orange cherry tomato with good yields all season. Our absolute favorite cherry tomato because they are just like eating candy! We can hardly grow enough of these plants because they are so popular with our customers! Matures in about 55 days. This yellow and orange striped tomato has pink flesh that is sweet and tangy and grows to be about 1 ounce. Matures in 70 days. Plants with small leaves lend themselves well to containers or handing baskets, producing heavily. Fruits are miniscule, about 1/4-1/2″ in diameter, and are super sweet, with a flavor reminiscent of a currant. A fun variety to pick and eat straight from the vine, for kids and adults alike! Matures in 75-80 days. Bright lemon yellow, medium sized fruit that is sweet, juicy, and a heavy producer. Very reliable. Definitely one of our favorite tomatoes. Matures in about 65 days. An awesome 2″ red and orange striped tomato, this English heirloom is recognized for being a great cool season variety. Also good for greenhouse growing. Disease resistant and early maturity in about 60 days. An heirloom variety from the Ozark region, these plants can produce an abundance of large, red, cherry tomatoes with very good flavor. Disease resistant. Absolutely delicious! Matures approximately 70 days. A bottom-heavy, pear-shaped fruit with purple-black color on prolific, potato leaf plants. Narrow shoulders have typical green streaking. Texture is smooth, meaty, velvety, often described as dense, smoky, chocolaty.Matures in 80 days. An heirloom dating back to 1912. Produces good strong yields and is considered to be blight resistant. Fruits in clusters of 3 to 4. Matures about 75-80 days. Reasonably large fruits with a milder flavor and not very many seeds. An heirloom from Maine. Ripens mid-season and tastes delicious! Matures in approximately 80 days. Named after the Wapsipinicon River in Iowa, this is a lovely pale yellow, fuzzy, 2 ounce tomato turns blush when ripe. Also a high producer until the frost yielding very uniform fruits. Matures in 80 days. Sweet, delicious, large cherry tomatoes with a pale yellow color. Early to ripen, making it a great choice for short season gardeners. This was one of Grandmommy’s favorite tomatoes, she said they tasted just like candy, and she was right. When White Cherry tomatoes come into harvest we have a sweet reminder of her. Matures approx. 60 days. A 1940′s heirloom bred by University of Wisconsin’s JC Walker, this is an all-purpose tomato with medium sized fruits. Perfect for fresh eating and canning with excellent flavor. Matures approximately 80 days. An heirloom that has been popular since the late 1800’s. Small, pear shaped tomatoes reach 1-2″ in length and are low in acid. Wonderful for salads and pickling. Plants are disease resistant, indeterminate, and produce vigorously until frost. Matures in 75 days. This bell-shaped tomato originally grown by the Zapotec Indians of Mexico has a sweet, mild flavor and a unique texture that works well in salads and salsas. Matures in 80 days. Perennial Nut tree. Very hardy. Green nut outer husks used as a dark brown dye, also used medicinally as an anti-fungal and anti-parasitic herb. Nut meats are excellent and unique flavored food, although they are challenging to shell – worth the effort. Good wildlife habitat and food tree. The traditional American turnip. Smooth, round roots, 3-4″ in diameter, white below the soil line and bright purple above. Large, lobed greens. Matures in 50 days. Chris harvesting grapes to make wine.